the phone number is easy to guess: This allows the attacker to run successful blind SPAM campaigns even location-based(state, city based on the prefix). If most of the internet users would use phone numbers instead of email addresses I'm sure the amount of spam they receive would be higher. The spammers won't need to worry about email addresses harvesting. They would just generate phone numbers with a good chance to catch valid/active ones. the sms is insecure: Unlike the email service the SMS has no authentication protocol(as far as I know) such DKIM, SPF so even experienced clients are unable to verify the integrity of the sender(i.e. if it's twitter or a spoofed number). Once you register/authenticate with the phone number you also establish SMS as communication channel. So it's not only the authentication code that you receive through sms but all the communications (confirmations or whatever twitter sends) are are sent though a channel which doesn't support authentication. This is basically like email without DKIM, SPF and even without any SPAM filter. disturbance: brute forces most of the the valid phone numbers just for fun to generate disturbance(i.e. 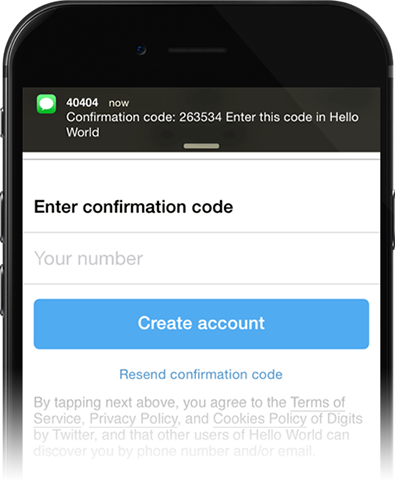 make twitter send auth codes to all the possible phone numbers). There may be sensible IP restrictions but I can't see this stopping the attacker. data harvesting -> malware: The attacker finds what phone numbers are registered on twitter(see brute-force), sends them SMS (which looks like a twitter notification) with malicious links. phishing: the client may be more willing to disclose a code received through sms than a password. If a phishing form is asking for a sms received from twitter(MITM) I think the client is more willing to provide it than a password as the code is received on request (not expected to be a secret the client is remembering) and the process( wait for the SMS and copy/paste it) distracts the client from the login page. It's also worth to note that the SMS notification covers the header of the UI(address bar). Digits leverages a single 'factor' typically used in multi-factor authentication: "something you have", which in this case is your phone. Yes, there are weaknesses in the security of a single factor, just like only using a password, but there are strengths over and above a simple password, too. disturbance - yes, an attacker could spam the phone network, but that in and of itself does not reduce the security of the process. It might create a DoS scenario depending on how Digits is design in the backend. data harvesting -> malware - I tried the demo with a phone that is not registered with Twitter and it worked. I don't see this as a valid way to discover registered Twitter users for targeted phishing, no more than blanket spam does. data harvesting -> phishing - As a phishing researcher, I could imagine this could be true. But I'm not sure if a user would realistically be more susceptible to phishing in this way than any other type of phishing for passwords. I don't think I understand your threat scenario here. the sms is insecure - yes, SMS is not a secure channel, just like email, but you get a code when you have triggered the code to be sent. I'm not sure that one would receive a gratuitous code and start hunting around for an app they didn't log into for the purposes of entering it. As for MITM, the same protections of the website apply for certs, DNS, etc. and the threats would be common for password-based logins. Given your risk model, I'm not sure that Digits is less secure than a password at all. It is a challenge-response mechanism using a phone as a factor. Protections of the login page and the personal protections of the phone (locks, encryption, remote management) can all be employed by the user to possibly make this more secure than a typical password mechanism. Yes, it is still a single factor, and yes there are ways for a user to make this insecure, but the mechanism itself is not inherently insecure. According to this article on Wired, it is. The attack: "... The hackers, as he tells it, had called up Verizon, impersonated him, and convinced the company to redirect his text messages to a different SIM card, intercepting his one-time login codes." Yes, it is insecure, in addition to violating your user's privacy. This solution gives Twitter, the mobile carrier of the user and the various governments of the countries where Twitter and the aforementioned carrier have business the ability to impersonate your users on your platform without them noticing. To make it more clear : any rogue employee or attacker inside Twitter or the user's carrier can log in as any of your users. And as if it wasn't bad enough already, this makes Twitter aware of the times and locations (IP, user-agent, any browser metadata) from where your users log in, so Twitter can now correlate these info to build a profile of the user, on what sites does he log on, at what times, and whether he has a Twitter account (based on cookies since they control both the Digits domain and the normal Twitter domain) so they can pollute his timeline with sponsored tweets based on the info they now know about the user. Finally, asking users their phone number is not a good idea if you want users to sign up on your site - as a tech-savvy user I wouldn't give it out for the reasons mentioned above, but most less tech-savvy users would still refuse to do so just to avoid potential SMS spam. 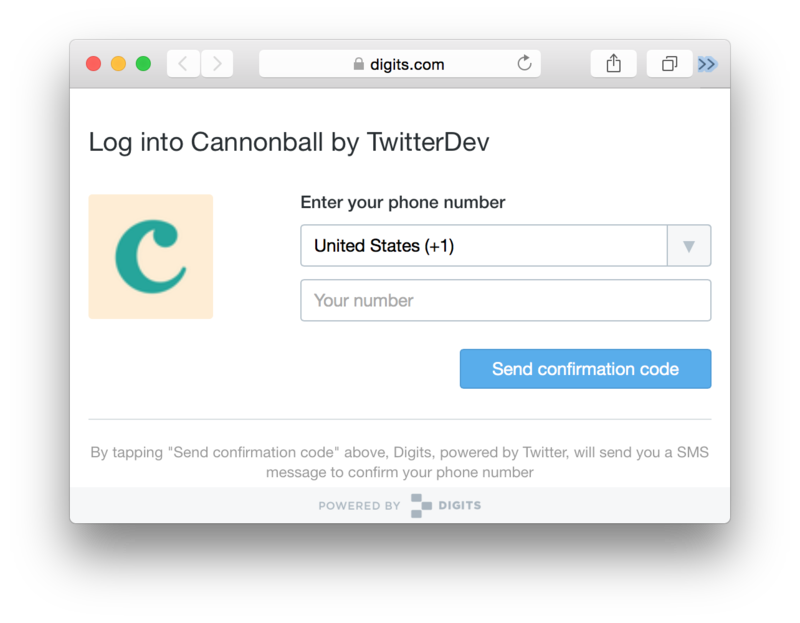 Start a digits auth on your device against your target's phone number. Then shoulder surf your target to get the auth code from their phone's lock screen (use your device to take a picture of the target device if necessary). Enter the code on your device and you are in the target's account. Since it is locked to the mobile device by SMS, only the device owner can ever log into the application from that device. If the owner allows someone to borrow their device to access that other person's own data (like you would a web browser to check your mail on someone else's device), the obvious way of authenticating (using the number of the mobile device in your hand) will result in inadvertent access to the device owner's account. Not the answer you're looking for? Browse other questions tagged authentication brute-force phone or ask your own question. Can SMS text messages be used to verify a person's unique identity through a short code system? Could “receive SMS online” site be a scam? Is Paypal's 2FA Security really this bad? Can I have push notification authentication without a third party app?